BlackBerry's new phone also separates business and personal data, so it can be used outside of work, too. 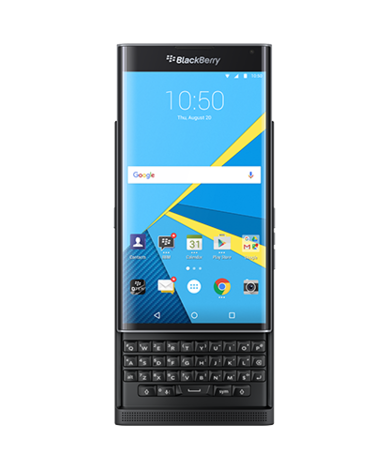 With the new Priv slider Android smartphone going on sale Friday for $699, BlackBerry is chasing mainly after enterprise users who want a hard keyboard in addition to a touchscreen and who want access to Google apps and the Chrome browser, analysts said. "All in all, it's a bold move for BlackBerry and keeps BlackBerry relevant as they are struggling with market share," said Ramon Llamas, an analyst at IDC, in an interview. Just by the numbers, BlackBerry has faded nearly into oblivion, with just 0.3% of the total smartphone market globally in the second quarter of 2015, according to IDC. But latching onto Android, with nearly 83% of the global market, could help. With the Priv, "BlackBerry can chase after a niche user with a much more compelling experience," Llamas added. "The Android OS gets knocked for not being secure and security is the special sauce that BlackBerry brings to the table. The niche they are going after is the enterprise user who wants a hard keyboard and wants to do more than only business on their phone." Outside of business, those users might want access to the Chrome browser or a wide assortment of Google Play apps, he said. IT shops will still be able to manage what apps are used, but the Priv uses Android for Work to separate work and personal data, which could open some doors for users at government agencies and in regulated industries. "BlackBerry is targeting those organizations that want to adopt Android, but who also want to have the most secure platform to do that and avoid the notorious security deficiencies in stock Android devices," said Jack Gold, an analyst at J. Gold Associates. "If you are in a regulated industry or are a high-level employee and security is paramount, then this is the phone you want to look at." At a buck shy of $700 unsubsidized by carriers, the phone is priced in the realm of the iPhone and Samsung Galaxy phones, but it also has some pretty high-end features, Gold noted, like a quad core processor, a 16 megapixel rear camera and a spacious 5.4-in display. "The keyboard will be attractive to those who want a hard keyboard, like me," he added. IDC's Llamas said the Priv reminds him of the BlackBerry Torch, also a slider, which was introduced in 2010 and ran BlackBerry OS 6. "The Torch sold very well," Llamas noted. Part of the Torch's attraction was the physical keyboard that slid out from behind a 3.2-in. touchscreen. BlackBerry's pairing of that earlier modeling with Android could make a difference. Gold predicted BlackBerry might follow up the Priv with lower-cost Android models, but Llamas wasn't sure how that would work, and which hardware or software features might need to be sacrificed to lower the cost. Eventually, BlackBerry might face the dilemma of not being able to support both the BlackBerry OS and the Android OS, even though CEO John Chen has publicly remained committed to existing BlackBerry phones and said they will get updates next year. "Android raises the long-term viability of BlackBerry as an OS," Llamas said. "Rare is the case where a company can support a multi-OS strategy." The Priv, which ships starting Nov. 6, will run on Android 5.1.1 (Lollipop) and not the more recently announced Android 6.0 (Marshmallow). BlackBerry hasn't disclosed when or how it will upgrade to the next Android version.